If you own or manage a hotel one of the major components of a successful venture is to fully understand and implement a fire hazard and management strategy. 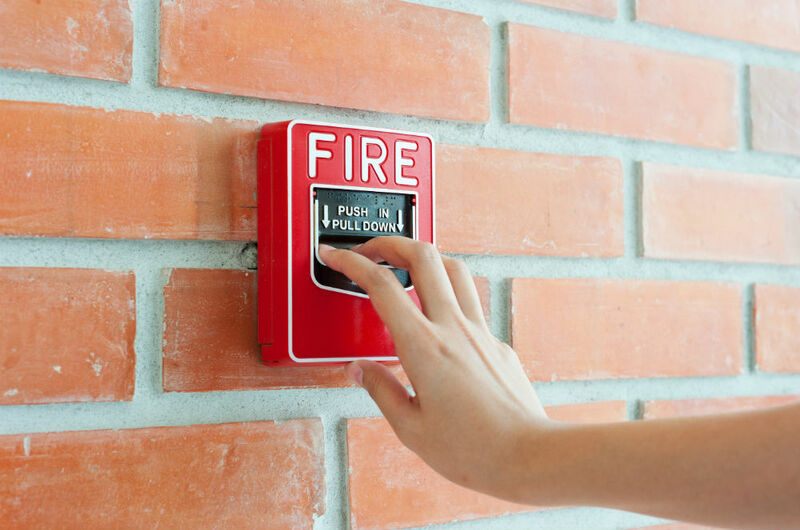 There are many processes and protocols to follow when it come to best practice of fire safety management in hotels, from fire drills, the installation and management of fire doors, to fire escape routes, fire alarms and regular fire risk assessments. Understanding potential risks of fire in a hotel, where there are hundreds of people potentially staying in the building at any given time as guests, employees, suppliers, and visitors, is vital to keeping people safe. The first thing that should be undertaken regularly in any hotel is a fire risk assessment. It doesn’t matter what size or capacity your hotel is you must conduct regular fire risk assessments. This must look at all potential fire risks and potential hazards throughout the building, from the lobby to any bars and restaurants inside the building, through to individual bedrooms. Check that all fire doors are installed correctly and up to regulation standard, that nothing is damaged, that all fire doors are closed and not wedged open. All escape routes must be kept free from obstacles at all times, and all fire escape signage should be clear and easy to read for all visitors and employees. It is important for risk assessments to be on going, with any risks that are not up to scratch dealt with as soon as possible. Fire risk assessments should never be paid lip service to, ticking boxes once a year. It is important to be fluid and to identify and resolve any issues as and when they occur throughout the year. The safety of your customers and employees should be of paramount concern. To ensure that this is undertaken with vigour, efficiency, and accuracy, your staff must be fully trained in all aspects of fire safety, fire hazard identification, and fire risk minimisation. All new employees must be provided with a full and thorough induction process that includes all aspects of fire safety management. Your employees should understand what to do immediately in the event of a fire breaking out, including fire escape routes and meeting points for guests and employees. Spread your fire risk training out throughout the year. This helps to ensure that fire safety is in the thoughts of your employees at all times, and not just once a year. Fire evacuation drills should be undertaken, as well as training on how to use fire blankets and fire extinguishers effectively. For fire escape routes, ensure that your employees understand what to look out for in terms of blockages and obstacles. Fire doors should never be wedged open, as it allows for fire and smoke to spread incredibly fast, putting lives in danger. Fire safety signs should be clear and not confusing, exit signs and routes should be easy to understand and all stairwells and exits clear of stored furniture and any other hotel items that could possibly get in the way of people escaping the building in the event of a fire.